George T. Sink Jr. grew up fighting for South Carolinians. George first began working at the firm in 1991 (at 12 years old) after school and during the summers. From the beginning, he loved to find more ways to take care of clients and get more money from insurance companies. 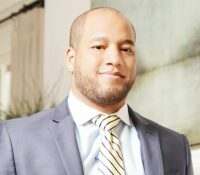 He attended college at Yale University, made his own way in New York City, then returned to intern with the South Carolina Supreme Court in 2006. While at the Supreme Court, George was awarded a certificate of appreciation for completing a special project for the court. 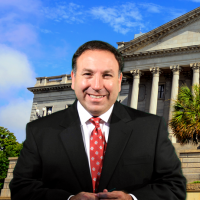 George worked through law school, was chosen to be the president of the South Carolina Association for Justice group at CSOL and went on to graduate law school with honors. 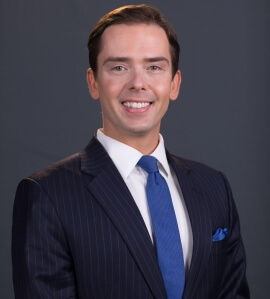 In an early sign for his love of litigation, he won first place in a trial advocacy competition against more than 50 other competitors, also winning distinction for the best opening statement. George now works at George Sink, P.A. Injury Lawyers, where he helps fight for injured and disabled South Carolinians every day. In his spare time, he enjoys great southern food, raising golden retrievers, playing guitar, volunteer work through the firm and exploring the state.